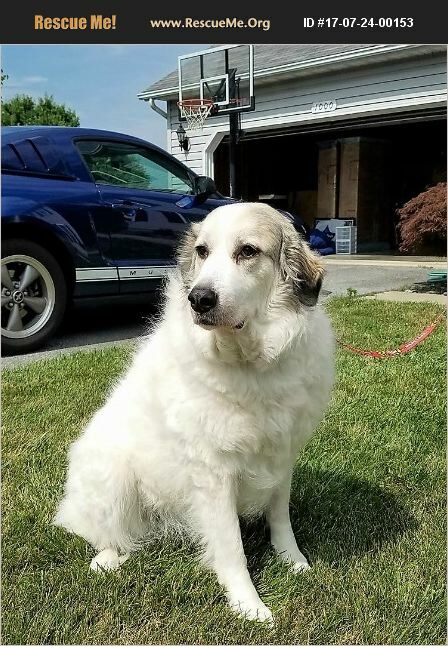 Maryland Great Pyrenees Rescue View other Great Pyrenees for adoption. Dixie was adopted when she was a year old and due to life she has come back. She is a lovely, sweet dog that likes a job of watching over her family. She is true to her breed and is particular about other dogs and will do okay with a cat in the home but not with strays. She has killed chickens in her past so no birds in the home. She is gentle and easy to walk and very loving. She is about 100 lbs. so one must consider her size and if you can handle that.